We Are Open at Woolwich! 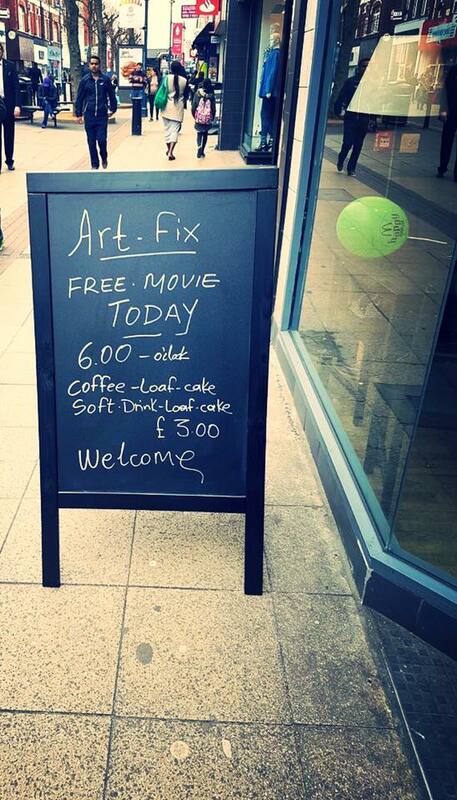 We are so excited to say that artFix Woolwich is now open for business! 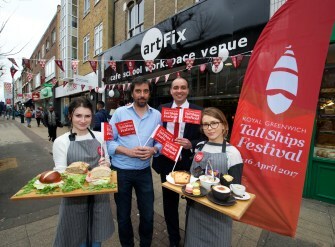 It’s been an amazing week for artFix Woolwich following our official opening. For the past seven days we have been buzzing with activity and already have some local regulars. We have met a lot of new people from the local community, engaging people with coffee, co-working space and art, of course. Not only do we serve a delicious array of food and drink, we give visitors the opportunity to discover much more over three floors of activity. 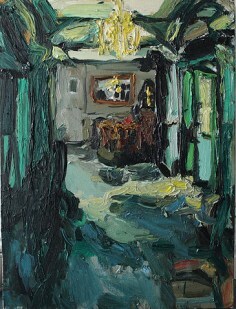 We all love Diana Savostaite’s paintings which have been decorating our first-floor space in our opening exhibition! Inspired by the surrounding environment, people and inner emotions, Diana aims to be as honest as possible when she creates. It was a great experience for us to cooperate with a local fine artist, the first of many we hope. Aside from exhibitions, we held our first of three Art of Mindfulness taster classes in our space on Tuesday! With special thanks to Cass Art for the materials, we successfully provided a fun and engaging workshop for students and young people. 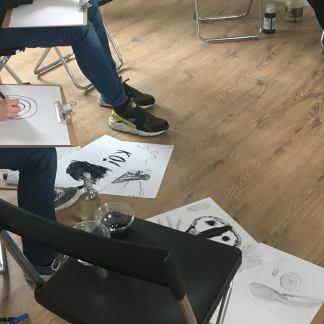 These classes, led by local art therapist Simon Woodward, aim to combine mindfulness art practice and guided meditation that participants can replicate in their own time. Each taster class is aimed at a different age group – the next will be tailored to Working Age Adults. We can’t wait! On Wednesday evening we had our first film screening in our space — Alfred Hitchcock’s classic ‘The Lady Vanishes’. As one of Hitchcock’s last British films before moving to Hollywood, we all enjoyed this outstanding and delightful comedy thriller. Join us each week for more movies and cake! Even though we have only been open for a week, the interest and buzz for artFix in the local community is beating our expectations. From locals who came to our space for coffee and a chat, local artists interested in exhibitions and workshop possibilities, to those who participated in our events so far – we appreciate everyone for being a part of artFix. We even had a visit from Greenwich Council and met with councillor Sizwe James to discuss the annual Tall Ships Festival coming up this Easter! After just one week, we feel so welcomed in Woolwich already and only have you to thank. Your participation and support keeps on encouraging us to develop even more events and classes for the local community. You’re always welcome to pop in and join us whenever you wish, and we’re excited to see what’s next for artFix Woolwich! We realise we may not have been particularly active online recently but fear not – we are back! As you may know by now, we are returning to the streets of London very soon with a new artFix space in the centre of Woolwich. We are fervently preparing the space for opening in the second week of March and are very excited to bring you an exciting calendar of events, activities and classes, as well as great coffee of course. Our decision to set up a new space in Woolwich was founded on several factors. We want to build a greater community within out artFix spaces and believe that we will do just this in our high-street location. Woolwich is the only area in London to receive the Cultural Destination award, which is an exciting opportunity for Woolwich for the next few years. Current residential developments including the new ‘cultural quarter’, as well as the highly anticipated Crossrail, are also raising the profile of the area and unifying the local community. Woolwich is soon to become a hive of arts, culture and creative industries and we hope artFix will effectively contribute to this development and the opportunities for visitors and residents that this brings. Each of these has been put into place to make artFix a one-stop creative platform that incubates ideas, talent and culture in a well-structured system. 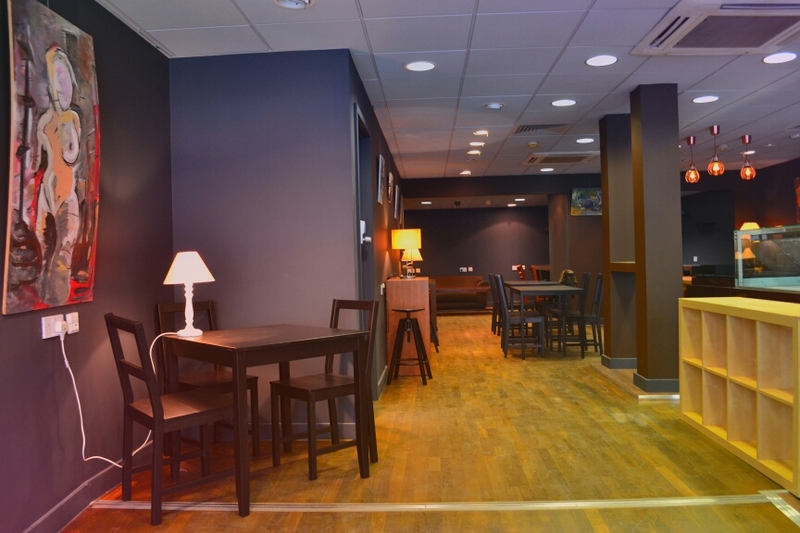 Visitors, as well as contributing artists, can enjoy a coffee, a drink, or food in our café space and at the same time, experience fixes of creative content through regular events and activities, just as we have done before. In the same way, our new artFix store will hold regular events and exhibitions across all three floors of new space. 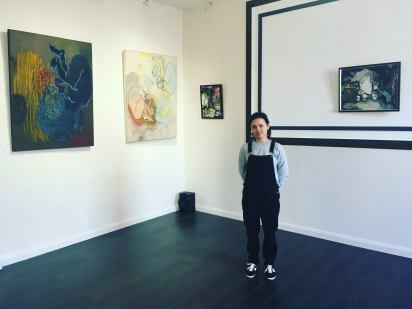 In such a dissimilar area of London compared to our Soho location, we are offering artists the opportunity to display their work in an up-and-coming borough with a diverse audience and a new cultural development programme. This consists of exhibitions, performances, workshops and other such events. With the introduction of our new ‘Co-Working’ space, we are also providing visitors with hot-desking opportunities and the chance to work with like-minded creative individuals. We hope that this will bring together industry professionals from all disciplines in a positive, fun and friendly working atmosphere. The new ‘Academy’ model of artFix will offer professional development classes to all of our visitors and members on a regular basis. Not only will we be offering arts and crafts related classes, but we also have lots of other exciting classes in the pipeline, including wellbeing, dance and language classes, to name a few. The diversity of these classes means that anyone can be involved, bringing everyone closer to the arts regardless of their creative background. We also have a brand new, updated artFix website for you to browse through and keep up-to-date with our upcoming events and news. Stay tuned for more artFix updates and announcements and be sure to visit us when we open in a few weeks’ time. We are coming back even bigger and better than before – you won’t want to miss it! 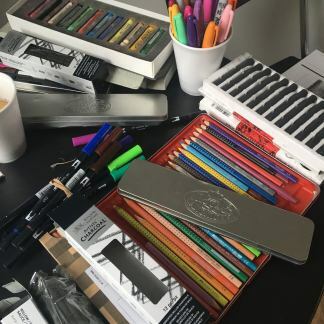 It’s been a while since we last posted and we realise we have virtually disappeared; some of you may have noticed a lack of online activity, whilst others may have noticed the refurbishment happening at the old artFix store on Peter Street in Soho. But fear not! We are not gone forever. 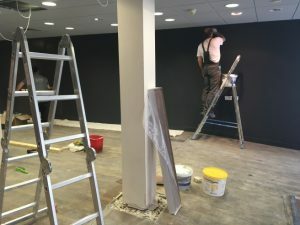 Since the refurbishment started in November 2015, we have had some time away to reflect on what we want artFix to be and how to better our services for everyone. In order to improve our social impact and usability, we came up with a few changes to really maximise artFix’s mission of making the arts more accessible, affordable and fun. Instead of the three pillars of ‘Store’, ‘Industry’ and ‘App’ that previously made up artFix, we have changed these to four components. Now, we are focusing on ‘The Café’, ‘The Exhibition/Performance Space’, ‘HotDesking’, and ‘The Academy’. These four components are put in place to make artFix the go-to, one-stop place for all things arts and culture. The biggest changes then are the introduction of ‘HotDesking’, which we hope will bring together creative industry professionals, and the rebranding of ‘Industry’ as ‘Academy’. The Academy model will offer both professional development classes to artists, such as Legal and Accounting or Marketing and Social Media, and arts and crafts classes to the wider public. This is in order to bring everyone closer to the arts, no matter what their background. We also have spent some time thinking about how we want artFix to grow and develop in the future. Our vision is to open six stores within the next three years throughout London. For this reason, we have been looking at social investment in order to begin this exciting journey. Social investment is perfect for artFix to grow, as our investors are not only concerned with the monetary return, but on the social impact that organisations make. We believe our restructuring will see this happen. We haven’t just been re-drawing our business plan in our interim. artFix has been developing a series of charitable initiatives that we aim to have in place by next year, which focus on arts education and access to opportunities in the culture world. These programmes will integrate themselves into the Academy model, but focus on providing for those that need it most. 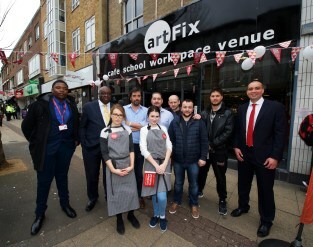 artFix has also been seeking out partnership opportunities for pop-ups, and we potentially have some exciting things coming to the Boroughs of Lewisham, Croydon and Southwark. For now, we are starting small, but big things will come.